Kambara jasper is a gorgeous shade of green, with fascinating swirls and orbital patterns of black . 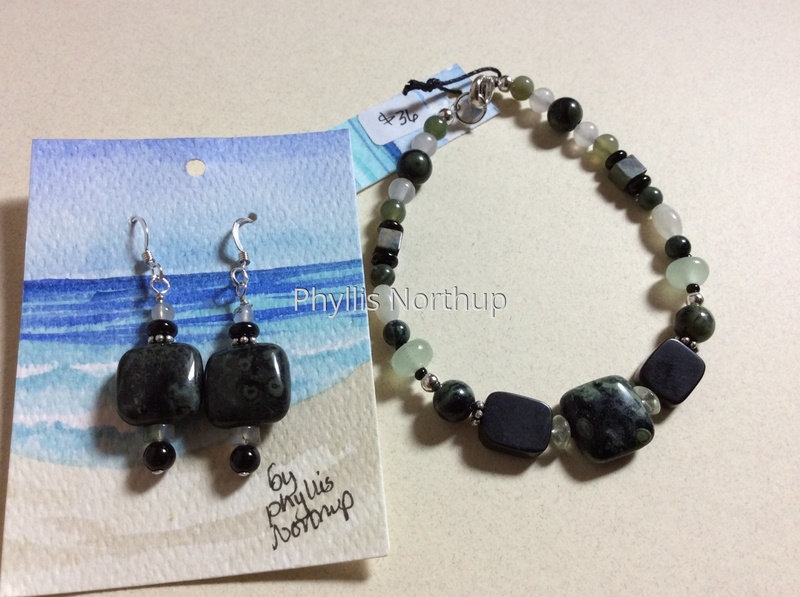 New jade, agates, and rhyolite add other lovely greens to the mix, accented by onyx and quartz. Clasps and ear wires are sterling. Bracelet is approximately 7 1/2" and the earrings are 1 1/4" drop. Purchased separately $63, save $5 by purchasing the set for $58.